There’s another giant Battle Star hidden on the Fortnite island, and you’ll need to find a map in Anarchy Acres to begin your treasure hunt. The Anarchy Acres treasure map is part of Fortnite’s Week 5 Challenges, which once again hand out extra Battle Stars and XP upon completion. 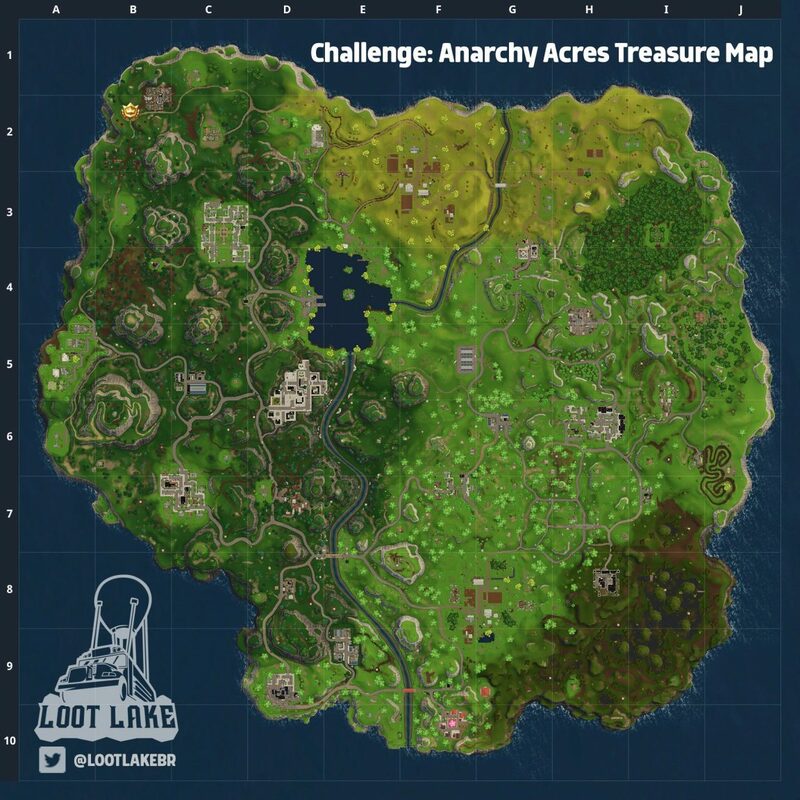 Where’s the Anarchy Acres treasure map? To find the giant Battle Star, firstly head to Anarchy Acres where you’ll find this map in one of the open barns near the house. 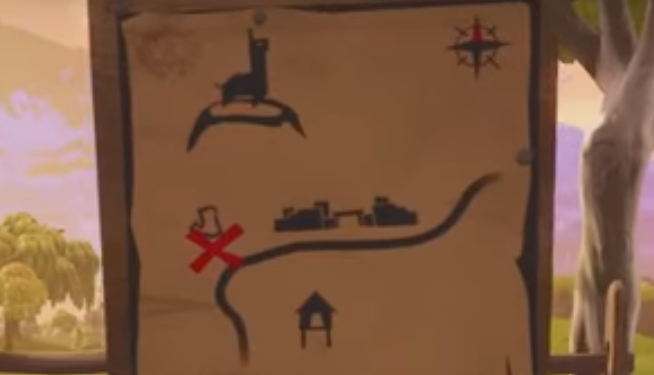 From that simple map you can see the spot you’re looking for is South of the giant llama and West of Junk Junction up in the top left corner of the map. You’ll see a big rock sticking out of the ground and it’s here you’ll find the hidden Battle Star. It’s simple to find. It’s worth remembering that you don’t actually have to find the treasure map in Anarchy Acres at all, you can just head straight to the big rock to claim the star. You do need to get close before it pops up though as you won’t be able to see it from a distance. Now you’ve found that, you’ll need to complete the Gas Stations challenge. Oh, what’s this? It’s a map to all Gas Station locations. You’re welcome! Are you playing Fortnite on mobile? All of these challenges are exactly the same for the iOS version of Fortnite, and support cross-save. So any progress is shared between mobile, consoles an PC. Here’s all the weekly challenges for the entire Season 3 of Fortnite. Got a few unfinished? Hunt ’em down and check ’em off. We’ll see you in Fortnite Season 4!